If, by this point, you haven’t given in to the pink bottles amassing at the front of your local wine store, there’s still time. 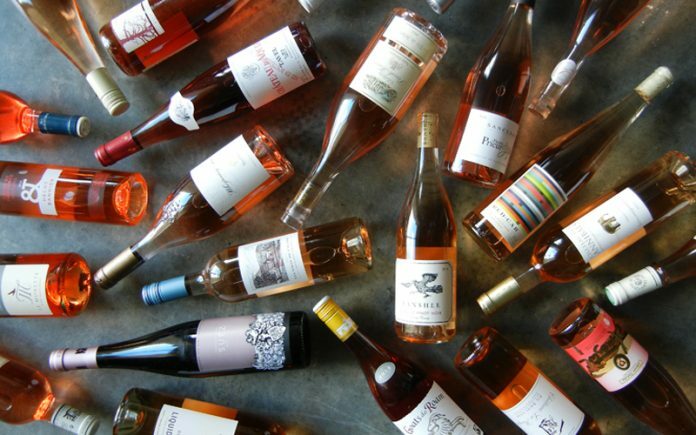 Rosé, at least for me, is one of summer’s great gifts, on par with tomatoes, peaches, and a new season of “Orange is the New Black.” Those who mistake rosé for blush wine or, God forbid, pink zinfandel should know that the beautiful bottles you see today are mostly dry (not sweet). The best examples, often from Provence, where the style originated, are refreshing like a pitcher of lemonade and crisp like the snap of an apple. Most bottles hover in the $12 to $18 swimming-pool-slosher range, but while gathering wines for a recent tasting, I found a considerable number of high-end bottles, costing $25 up to even $80. That’s a tough price to swing for the average consumer who knows rosé as an inexpensive summer cooler. The investment, though, did on occasion prove worth it—yielding more thoughtful and complex styles. But for those just looking to uncork a bottle in the park and throw a Frisbee, I’ve got plenty for you, too. My favorites in ascending order. A word to the wise: availability can be very limited so call ahead and reserve what you can. Pay over the phone, if you have to. Otherwise, I’m swooping in and grabbing the rest of the case for myself.